The City of Springfield has a new program to boost ridership and help residents make transit a part of their weekly commute. The TOGO program allows riders to try taking The Bus to work or school for two months. The first month of commuting is free to participants in the program. When new riders sign up they are eligible to receive passes to try taking transit 3-4 times a week. The program is geared toward people who have never used transit before, but are wanting to give it a try! When signing up for the program, participants receive tickets, a personalized route on how they can best use transit, a free tumbler, as well as a free guaranteed ride home. The free ride home can be used one time, and acts as a safety net if an emergency arises and transit isn’t readily available. Once riders have tried The Bus for the first month, they are required to purchase a pass or tickets for the second month. They are also required to fill out a survey on their experience after each of the first two months of the program. Springfield City Utilities hopes to see riders who have been thinking about taking The Bus join the transit movement. 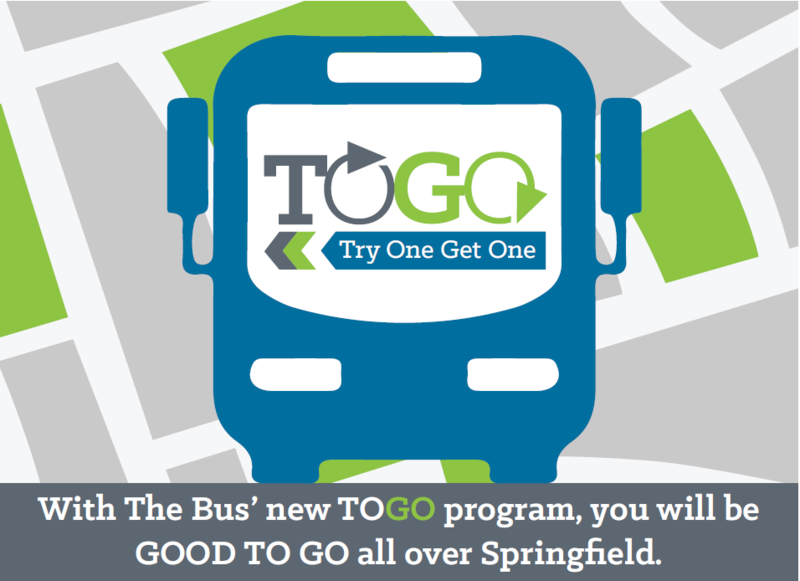 Get on board in Springfield with TOGO.